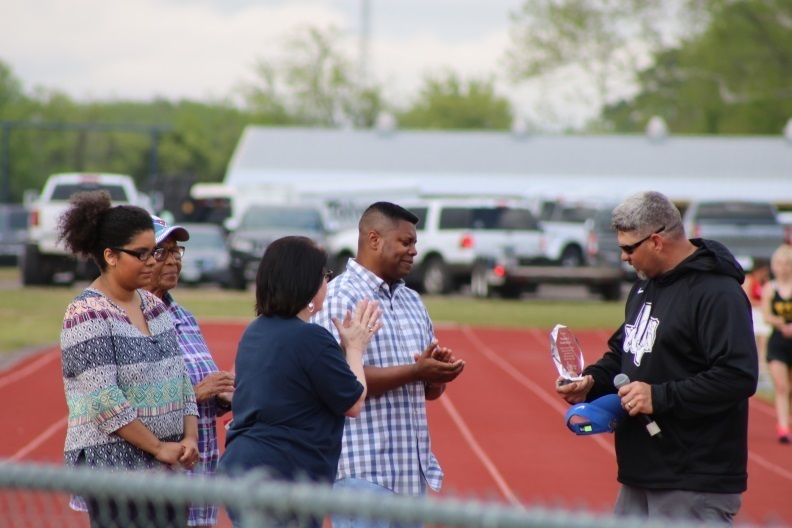 Quitman ISD honored the late Mr. Timothy Hancock at the 2019 Bulldog Relays on Thursday, April 4, 2019. Mr. Hancock, a 1997 QHS graduate, as well as a military veteran, won the 1997 Conference 3A gold medal in the 400m dash. Shown in the headline picture are Quitman Athletic Director Bryan Oakes and some of Mr. Hancock's family members. 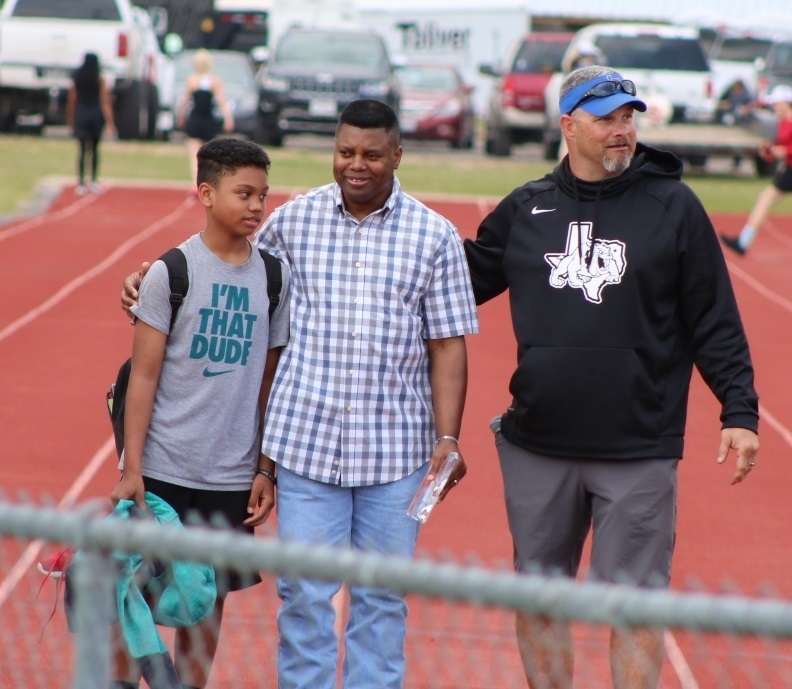 Pictured in the photo below are QISD Superintendent Rhonda Turner, Athletic Director Bryan Oakes, and some Mr. Hancock's family members that were in attendance..